Our specialty meats are the best in the area. For those hard to find meats or something you’ve always wanted to cook up for your family, we have the quality meats you desire. With our mouth-watering bison and freshly cut lamb, our specialty meats are both healthy and delicious. We always keep our crates stocked with the best and tastiest treats that mother nature has to offer us. Stop by for a taste of our fresh meat and you’ll never go back to buying meats from your name brand supermarket. At Calgary Meats we are always trying new and innovative ways to do our job and present quality meats for you. 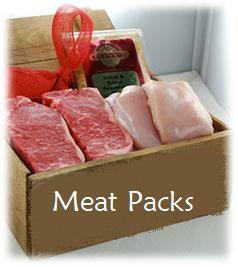 Our specialty meats including grass fed buffalo and bison, milk fed veal, lamb, and rabbit. Our professional butchers love what they do and pass along their passion to you in the form of affordable meats. We rely on local suppliers not only for fresh meats but to help the local community and to pass the savings along to you. We offer the freshest meats and we take pride in taking care of our neighbors. Give us a call today to learn more about us.